What if you give away the polished and edited content, but then put a price tag on the user-generated content? Those of us who have solicited so-called user-generated content know that there’s just about nothing more popular than people’s own stuff. The numbers are overwhelming and consistent. When it snowed on Valentine’s Eve in 2004 in San Antonio, we were overrun with reader-submitted photos of the miraculous, 1/8-inch dusting. So we posted a mini-slideshow on MySanAntonio.com, and it got the most pageviews on the site for a month. Ask folks to send in pictures of their pets, their Christmas lights — whatever — and you’re likely to get buried in an avalanche of voluntary contributions and a subsequent pageview frenzy. While the trained, credentialed and degreed-journos in newsrooms ponder this, one retailer is running with it. 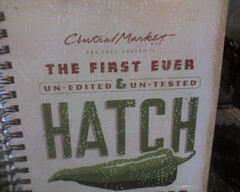 San Antonio-based Central Market grocery store solicited Hatch green chile recipes from customers across Texas last summer. Now those recipes are bound into a book “un-edited & un-tested,” and the grocer is charging $14.99 for the raw deal. And guess what? People are buying it. 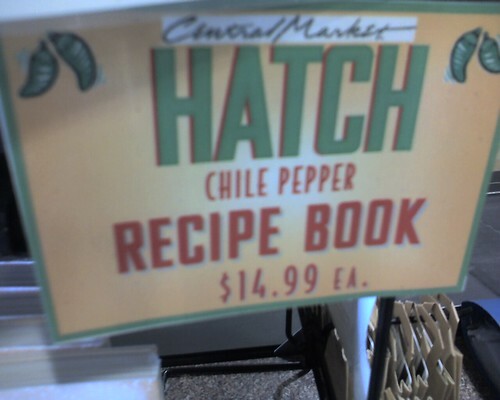 Elsewhere in the store, customers can pick up 3×5 index cards with chef-tested recipes for free. But this book of unedited people’s stuff is worth money. If news organizations could for one moment stop being so arrogant and snooty about citizen journalism/user-generated content, they could learn something here. People don’t confuse their own stuff with the “pro” stuff. And they really like their own stuff. They’ll even pay money for it!